For those of you who have read this blog for a while, you know about my tumultuous relationship with bacon. I live for the stuff and as a child, weekends and Sunday mornings (before going to temple – isn’t that ironic) were synonymous with the smell of bacon. Even though I had to give the salty-stuff up, I still find myself craving the crisp bite and smoky flavors that define this breakfast treat and for the past few years, I have been determined to find a low sodium substitute. I even went so far as to try and cure it myself, without salt, as can be seen here. But alas, the results were less than successful and all that I came away with was some fatty pork bits and a bad stomach ache. Even with these roadblocks, though, my tenacity has not waned. If anything, I have become more determined (as well as more cautious) to find a solution and the bacon brain trust continues to sizzle and scheme. On a non-pork topic though, there is another culinary query that gives me equal pause: truly delicious vegetable side dishes. Do they exist? During the holidays, I cringe at the thought of stewed carrots and overly-steamed green beans. But I find myself stumbling when thinking of other things to serve. What can one feed an army of relatives that retains color, flavor, and texture and doesn’t just turn to mush? Just as I persevered with my search for the elusive piece of low-sodium bacon, I have become equally resolute to overcome the bland presentation of side vegetables. And this Thanksgiving, I wasn’t going to let my greens play sloppy seconds to the turkey. 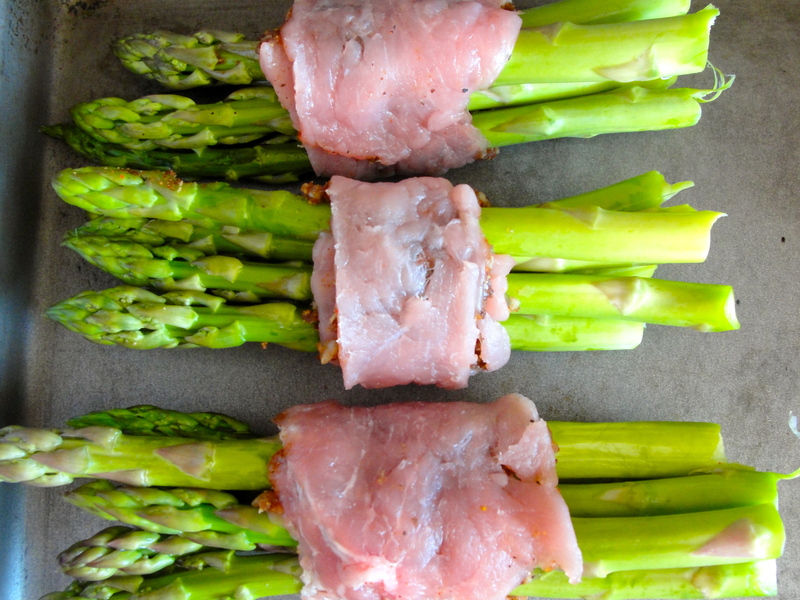 After a bit of interweb research, I came upon a gorgeous recipe for prosciutto-wrapped asparagus spears with a prune and walnut purée. It was as if my two worlds of culinary conquests collided. I had a chance to take on the low sodium bacon challenge once again and attempt a recipe for a truly stunning side dish. 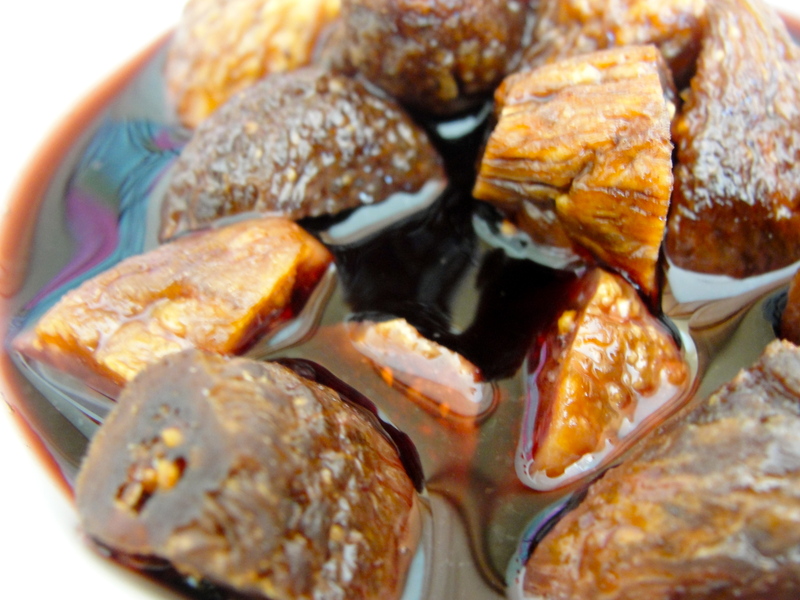 To make the recipe low sodium (and nut-free), I made the purée by blending 1/4 cup of unsalted sunflower seeds with a 1/2 cup of figs (sliced in half with stems discarded), which were soaked for an hour in 1/4 cup of port with a splash of balsamic vinegar. To replace the prosciutto, I asked my butcher at Whole Foods to cut very thin slices of pork loin. Genius. I marinated the loin in orange juice and beer for a few hours to make it especially moist and from there, I patted them dry and pounded them out with my fist (and a hammer) until they were thin yet sturdy, resembling the thickness of prosciutto. I then spread a spice mixture of smoked paprika, black pepper, and cumin on the pork to give it a husky flavor. Quick side tip: to make the pounding process easier, I placed the meat between two pieces of saran wrap. The butcher can also do this part for you if you don’t have the time or fist power to thin the meat out yourself. From there, I flash steamed two large bundles of asparagus, which had been stemmed and cut in half, and put them in ice baths to cool. When they had chilled a bit and dried, I spread the fig and seed mixture on each strip of pork and rolled them around a bundle of five asparagus spears. I tied each bundle with cooking twine and seared them quickly (5 minutes each side) in a pan with 2 tablespoons of hot grape seed oil until the meat was cooked and caramelized. And right before serving, I drizzled honey over each bundle and threw them under the broiler for 5 minutes, giving the meat a crispy texture. And voila, a side dish with flavor and flare. 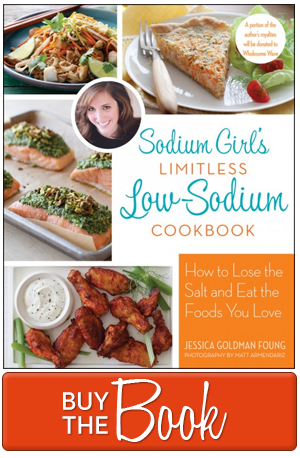 These low sodium greens can be prepared a day ahead and then cooked right before serving. Their bright color and taste play beautifully with the earthy notes of holiday feasts as well as the lighter fare of spring brunches and potlucks. So keep these bundles in your back pocket (well, not literally because that would be messy) and the next time you need a show-stopping side dish or a low sodium “bacon” fix, you’ll know exactly what you can make. I too am a big lover of all things bacon. And do I ever miss it! I can’t remember if I told you about MapleLeaf bacon from Canada available at Costco. It has 105 mg of sodium in two slices. I have a freezer full and treat myself occasionally. It is delicious. I’m not sure I believed the facts so wrote to them and they wrote back assuring me the vaules were true. Living in NH, I have access to bacon from the North Country Smokehouse; the uncured has 55 mg sodium per slice with big flavor. 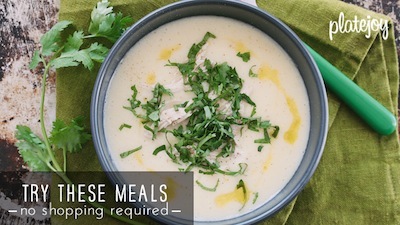 Used in an entire recipe, a slice or two cooked crisp then crumbled can go a long way in something where you are looking for some bacon flavor, like chowders. They also have online ordering http://www.northcountrysmokehouse.com Also, Coleman’s uncured bacon is another favorite of ours, they also have a website with a where to buy link. http://www.colemannatural.com just wanted to share some lower sodium bacon options for those times when only the real thing will do.